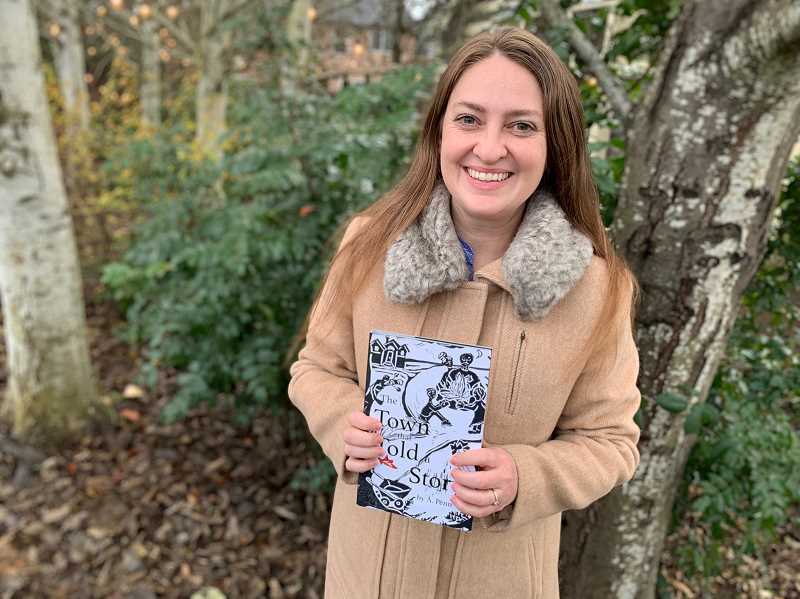 Local artist and author in Washington County wrote self-published book about living in a small town. When you were young, did your parents tell you stories? For Washington County-based author A. Penn, she wrote a book because she wanted her children to have a piece of her on their bookshelf. Penn grew up in Oregon and moved out to Washington County from Portland, a transition that inspired her art, she said. "Ever since I was little, I loved to be read to or told stories. My parents would read to me, as well as my grandparents, and I would love when it was the time of the day for teacher to read," Penn said. "When I had kids, I love reading them books." While there were books, she liked to read to them, she saw an opportunity to tell a story she saw missing from classic children's titles. 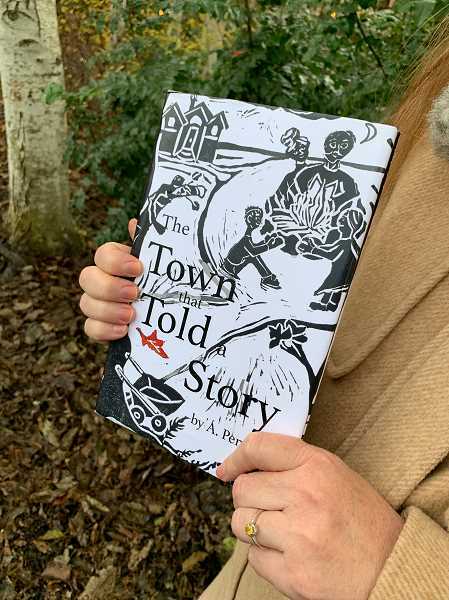 Penn's book "A Town that Told a Story," shares the story of a small-town baker who tells stories to residents, but falls asleep before he can tell the ending. Together, the people of the town create their own endings to his story and give him the gift of an ending, Penn said. "What I am trying to give my kids is the idea that our stories and our experiences really matter, and that telling them is really valuable," Penn said. The self-published book is also illustrated with linoleum-cut printing that Penn did herself, an art form allowing her to be inclusive as possible, she said. "I wanted people of all races to identify with it. That is why it is printed in black and white," Penn said. An artist as much as she is a writer, Penn hosts "art nights" at her family home for friends to gather and share the creative process, she said. "It was a way for me to get used to my surroundings," Penn said. "I love how you can play with the color and print on any paper you want." Penn reads to students at local schools and invites them to draw along as they listen to her story. "It really touched me that the kids are just like me, that they really love to hear stories," Penn said. "The thing that has surprised me the most is that people over 80 have really connected to it. I've received emails from older readers saying, 'This reminds me I still have stories to tell.'" In the future, Penn said she would like to release her second book, which she has already written, with the plot yet to be shared with the public. In the meanwhile, she encourages creative types to take the time, even if it is just for an hour, to spend time with their crafts. "This is my heart talking. I want people to write their own stories," Penn said. "The weather is not great, and I know we will be watching our movies, but I encourage you to wake up, spend time with your family and take an hour to write. I want this area to be reading and writing more to reflect this time we are in." Slow Rise Bakehouse in Forest Grove owns a free copy of "A Town that Told a Story" for customers to be able to sit down and enjoy. The book is also available to purchase on Amazon and at Perks of Art in Hillsboro.